WHAT DO YOU MEAN "DUBLIN ADVENTURES"? 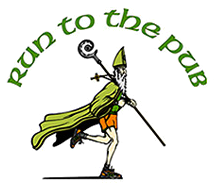 Believe it or not, when you cross the finish line of Pub 317's Run to the Pub Half Marathon or 10K, you are qualified to win one of four trips to Dublin, Ireland! 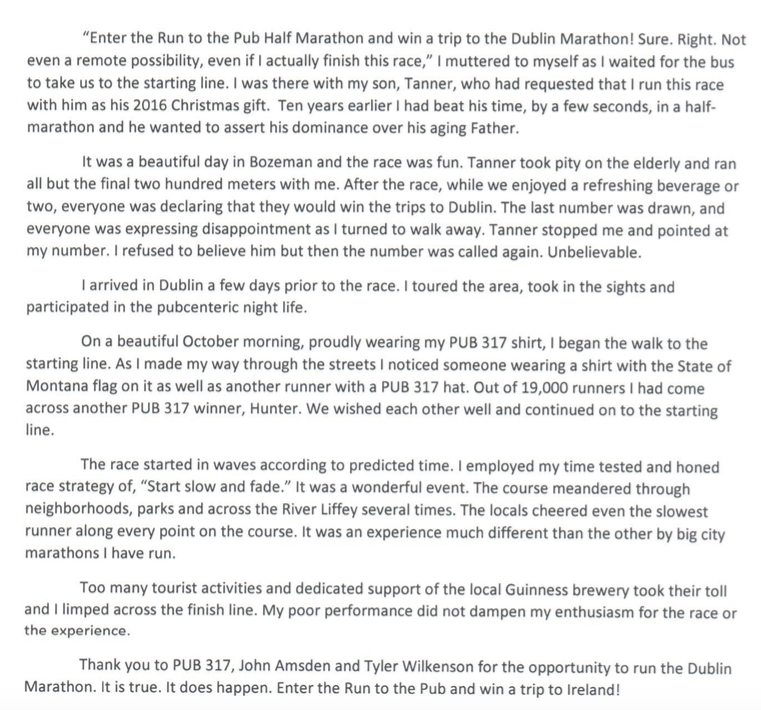 And not just any trip, but a trip AND an entry into the DUBLIN MARATHON. Yes, you heard us right. Come run with us, and you might find yourself across the pond sipping Guinness and singing "Molly Malone" with The Dubliners before you know it. The drawing happens at the finish line after the race, and you must be present to win. Gift includes the following for one person: airfare, hotel, entry into the Dublin Marathon, and entry into the St. James Gate Guinness Factory. You mean, people have actually GONE TO IRELAND and ran in the DUBLIN MARATHON? We don't have a story from Allison but she got to participate in the 2011 Dublin Marathon.